For his third solo show at Steve Turner, titled “Abstract Browsing,” Rafaël Rozendaal presents new works that extend his exploration of the Internet, his muse for the past decade. With these richly colored, expansive tapestries and humorous haiku wall paintings, the artist makes the Internet material. 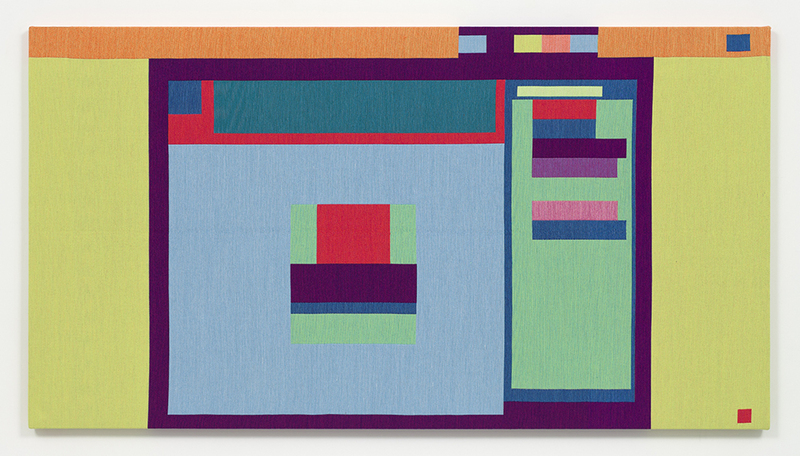 Rozendaal’s tapestries—woven via a mechanized process on Jacquard looms—take up much of the gallery’s walls with their assorted patterns of squares, rectangles, and bars. 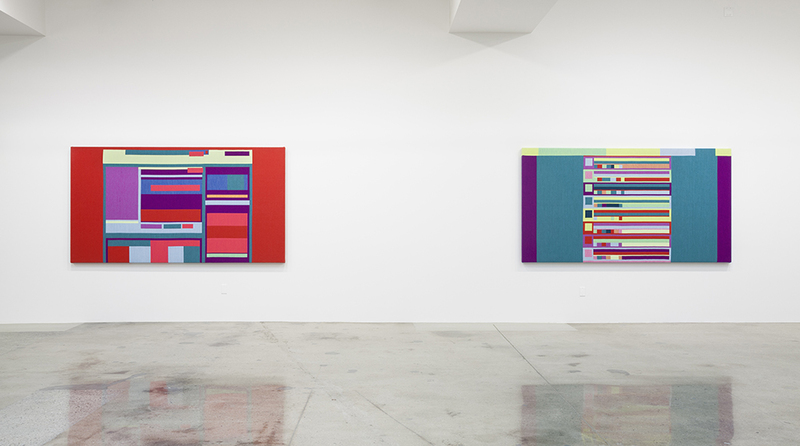 Though they resonate with modernist geometric abstraction, these compositions are rooted in technology, from concept to composition. To make them, he began by creating a plugin that reveals the underlying structure of the websites he visits. Applying this tool to a myriad of websites, he ultimately selected those whose architecture seemed to lend itself well to art. Many social media sites were among those that made the cut, including Instagram, Tumblr, and Twitter.